What is NES and How Does NES Work? Have you ever said things like “I have no energy”, “If only I had the energy”, “My job is draining me” or “My kids are full of energy”? If you are like me, more than likely we have at least mentioned these words every now and then. Having energy is important. Without energy we might feel lethargic, tired, overwhelmed, depressed or just wanting to rest and not do anything. In an ideal world all human beings regardless of age will have vitality, freedom from pain or disability, properly functioning five senses, balance and have healthy libido. The truth is we are not! Dictionary.com defines energy as “the strength and vitality required for sustained physical or mental activity.” Everything can affect our energy level and well-being. NES Health leads the world in energy and informational healthcare. I am a Natural Healthcare Practitioner and have been providing clients with NES Scans where we approach health from the key perspective that energy and information control our body and total wellbeing. According to NES Health: By looking at the physics underlying the biochemical nature of the body, we can now analyze and correct the body’s bio-field and information, which, after more than 30 years of scientific research, has been shown to be the master control system for the body’s health and functioning. We simply use a quick, easy, safe and non-invasive method – the ProVision Scan A client simply places a hand on an input device – similar to a computer mouse – and within seconds the software returns more than 150 results about the body-field and its correlations to the physical body in anatomically correct and detailed graphical representations. • Your emotions including trauma and shock It is like measuring the amount of static on your radio stations – in this case your whole body. Each organ and system in your body works off of varied signals. And what happens when you don’t have your radio tuned to the exact stations? So how do we use these results? NES ProVision shows the distortions and blockages that you currently have. From the results, we can incorporate them into an ongoing wellness and prevention measure to restore, achieve and maintain optimal health including recommended protocols. These actions will eventually lead to overall health and energy. 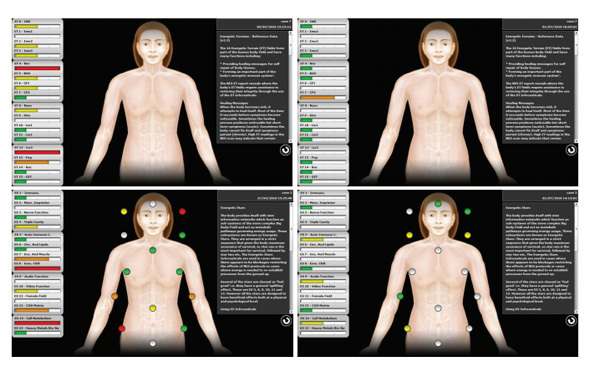 The NES ProVision software also identifies the NES Infoceuticals that can best correct body-field distortions and help activate the body’s own self-healing capacities. What are the NES Infoceuticals? The NES Infoceuticals are liquid remedies of purified water that contain a minute quantity of plant derived micro-minerals. Each Infoceutical is encoded with the information needed to help return specific aspects of the body-field to proper functioning. 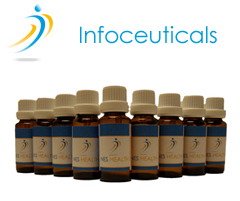 You take NES Infoceuticals as drops in a glass of water, according to specific protocols. Simply, the NES Infoceuticals can correct energy patterns in the body field. It is safe to use NES Infoceuticals along with other types of remedies including homeopathies, pharmaceuticals or herbs. Are you experiencing low energy or do you need to fine tune your immune system today? I’m here to help you hear the music again! Disclaimer: This information is not meant to diagnose, prescribe, treat or cure any illness or disease. It is for informational or educational purposes only. They have not been evaluated or approved by the FDA. Please seek qualified health professionals and do your own research. Previous post: What? You didn’t get Flowers? !